1. 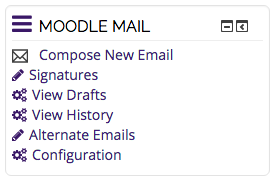 Login into Moodle and select the course of the recipients you would like to send an email. 2. 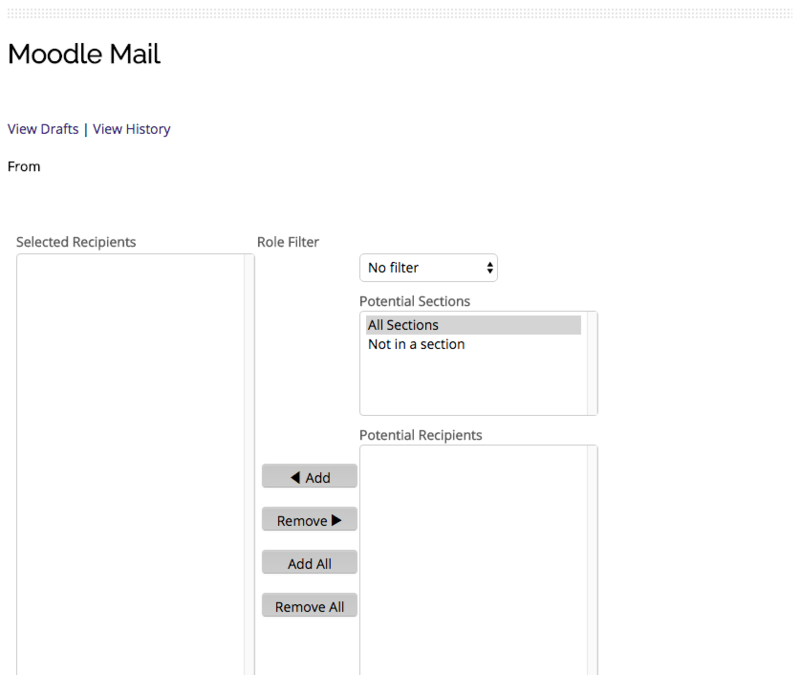 Find the Moodle Mail block and click Compose New Email. 3. Next, under Moodle Mail, you can choose your role as a student and then choose the potential recipients by selecting the name of the person(s) and clicking Add. If you would like to include all recipients you can just click Add All. In the selected recipients area you can choose to remove one or more recipients by selecting the name of the person(s) and then clicking Remove. To remove all selected recipients select Remove All. 4. If you need to attach a file you can select Add under attachments or just drag and drop the file over the big blue arrow. 5. The next step is the actual email. You can add the subject in the subject line and then type your message in the message box. 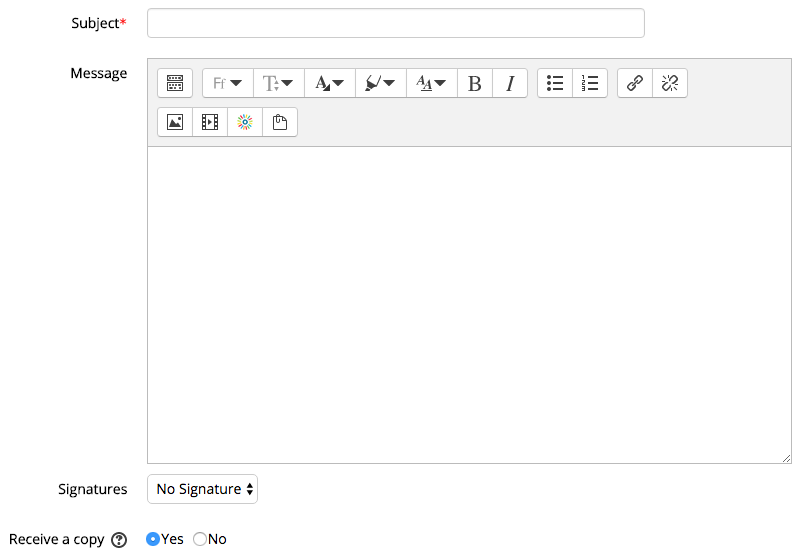 You can also add a personal signature that you created. The last option is to send a copy to yourself by yes or no next to Receive a copy. 6. Last, send your email by clicking Send Email or if you would like to save it for later click Save Draft.